“Star Wars” is without a doubt one of, if not the most popular film of all time. People love the Star Wars universe thanks to its unique setting and quirky charms. But have you ever wondered what the Star Wars universe might feel like if it took on a different tone? 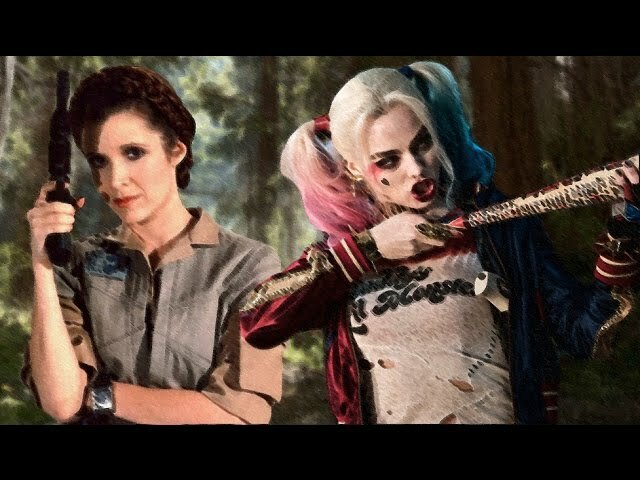 YouTuber The Unusual Suspect was interested in finding out what “Star Wars” would look like if it was done in the style of “Suicide Squad” so he got to work. He took footage from the original trilogy and mashed it up with the background music from the recent “Suicide Squad” trailer and it’s actually a perfect fit. The original “Star Wars” trilogy was a lot of fun, but somehow it looks like even more fun with “Ballroom Blitz” playing over the old footage. You can check it out in the clip below.